I saw it at Denny's. No, I'm not kidding. It was on a trip to Disney World, and we stopped at a Denny's for breakfast; that's when I saw my first cocktail arcade machine. Naturally, I had to have one. 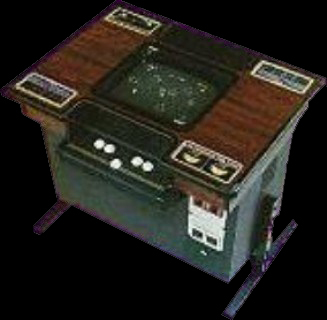 After my first adventure into the world of MAME, the cocktail arcade machine seemed like a natural progression (plus, it's small, so my mother would approve of it sitting in the living room). The first thing I did was hit up Google Images to get a good visual idea of what I was after. To my surprise, there were numerous styles of cocktail arcades. I guess I shouldn't have been too surprised, since there are hundreds of styles of uprights. One immediately caught my eye; Atari Asteroids Deluxe Cocktail. After some more searching, I came across a site which featured dimensions of a machine almost identical to Asteroids (http://underworld.fortunecity.com/fifa/294/diagram.html). Using these dimensions as a rough (and I do mean rough) guide, I set out to gather the necessary parts.